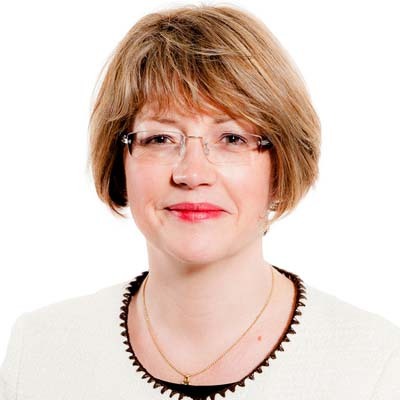 Anna Fletcher helps clients to solve a wide range of employment issues, from workforce planning to dispute resolution. By coming up with practical, commercial and cost effective solutions for employers who find themselves facing employment challenges, Anna’s focus is on keeping clients out of the tribunal whilst maintaining harmonious employee relations (where possible). It is a challenge to keep on top of the changes in employment law and to understand and interpret them. Anna helps clients to manage their workforce by applying her expertise and understanding of employment legislation and putting practical solutions in place. Managing people with their individual motivations, behaviours and expectations is no mean feat. Anna also develops employee management strategies to meet the individual business’ requirements to ensure that they continue to operate within the law, whilst retaining competitive advantage. This can take many forms; from designing and delivering training which up skills and engages the line, to devising solutions in partnership with the client to resolve business issues. By helping clients in the aviation industry understand the issue of backdated holiday pay, Anna has steered a client through the process of identifying and quantifying the issue, assessing the risk and ultimately helping the client to achieve a successful resolution. By using her sector knowledge and employment expertise, she has helped clients to avoid multiple tribunal claims and the deterioration of employee relations by advising on the considerable challenges facing clients from managing employee expectation, balancing financial budgets, maintaining healthy trade union relationships and managing the international element to the issue which applied to the client’s employees retained outside the UK. A cross firm team succeeded in saving the client time, money and ensured on going positive relations were maintained with the workforce. Anna also worked with the client’s international lawyers who have been dealing the same issues to ensure we were joined up where we needed to be. Anna helped a client in the aviation sector avoid multiple tribunal claims by applying her knowledge of both the sector and the Working Time Regulations. Her experience saved the client both time and costs when she ensured that the client reached agreement with its recognised union and also devised a formula and process for settlement. It was win win at another airline client, when Anna was able to bring about a dramatic reduction in the number of employee complaints, formal disciplinaries and grievances when she designed and delivered a four-day training programme. The programme was delivered to senior managers and aimed to up skill managers to enable and empower them to deal with a range of employment issues, saving the client significant management time and legal spend. Supporting a client and enabling them to meet their business objective to provide services to a key project in Kazakhstan by helping the client prepare for, and implement the relocation of key staff.